If the weight of your oversized breasts are giving you neck, shoulder or back pain there’s no need to carry on with the discomfort. Breast reduction surgery can be performed to help you get control of your day and feel great. Can The Discomfort I Feel From My Heavy Breasts Get Fixed Without Surgery? There are ways that you can help to alleviate your discomfort through non-surgical methods such as chiropractic care, physiotherapy, acupuncture, heat packs, etc. However, if you have constant, severe symptoms such treatments rarely result in permanent pain relief. Unfortunately proper bra support is not a quick fix either. Even the best made bra can trigger your shoulder, neck and chest wall discomfort. Weight loss can help you out a little bit, but not significantly. The problem is gravity. Oversized breasts become longer and heavier over time. Your breast skin has stretched, and unwanted excess skin can weigh quite a bit. Unfortunately, once your skin has stretched it cannot shrink back down to your preferred state naturally. Surgery will have to be performed to permanently remove your unwanted breast weight, skin and breast tissue to achieve your breast reduction goals. How Do Most Patients Feel After Breast Reduction Surgery? Almost all of the patients that Dr. Brooks has seen for breast reduction surgery are extremely excited about their results. They can breathe better, they don’t have as many headaches, they are sleeping better at night, no more neck, shoulder or back pain…the list goes on, and on…and on. Most importantly breast reduction patients feel more comfortable in their own skin. Shopping for shirts becomes fun and exercising isn’t a problem anymore. Do I Have To Pay For Breast Reduction Surgery? If you are getting breast reduction surgery because your oversized breasts are causing physical discomfort, no you will not have to pay for your breast reduction surgery. If you are interested in getting breast reduction surgery for aesthetic reasons, yes, you will have to pay for your surgery. Do I Need A Referral From My Family Doctor To See Dr. Brooks? It is best to ask your family physician or a walk-in clinic physician to refer you directly to Dr. Trevor Brooks. Your physician can fax a consultation request to Dr. Brooks’ surgical center at 403.487.0462. If you have any further questions about your breast reduction surgery, we are here to help! Feel free to give us a call at 403.487.0460 to learn more. 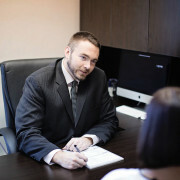 We can explain the best way to set up your consultation with Dr. Trevor Brooks based on your existing condition.